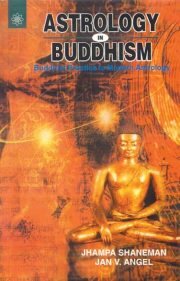 The ultimate purpose of Buddhism is to serve and benefit humanity therefore I believe that Buddhist ideas have a positive contribution to make to human society whether in the East or the West.People who use astrology on a regular basis may derive beneficial inspiration from the Buddhist practives of mindfulness, compassion, and wisdom as they make their decisions. Indeed I believe compassion and wisdom are not merely useful, but necessary in all aspects of our day-to day life. Jhampa Shaneman British Columbia Canada has been an astrological consultant for twenty years and a buddhist for over thirty. He is one of the first western Practitioners to be given permission by his holiness the Dalai Lama to teach all levels of Mahayana and Vajrayana buddhism.Jan V. Angel is a professional astrologer with an extensive focus on eastern and western transformative psychology.